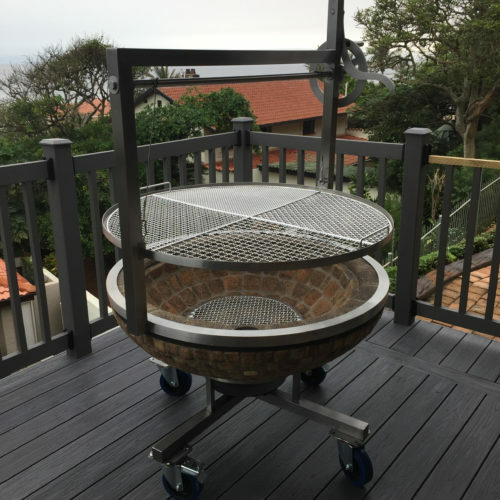 RAW, MEDIUM OR WELL DONE, OUR BRAAIS ARE MADE TO PERFECTION. 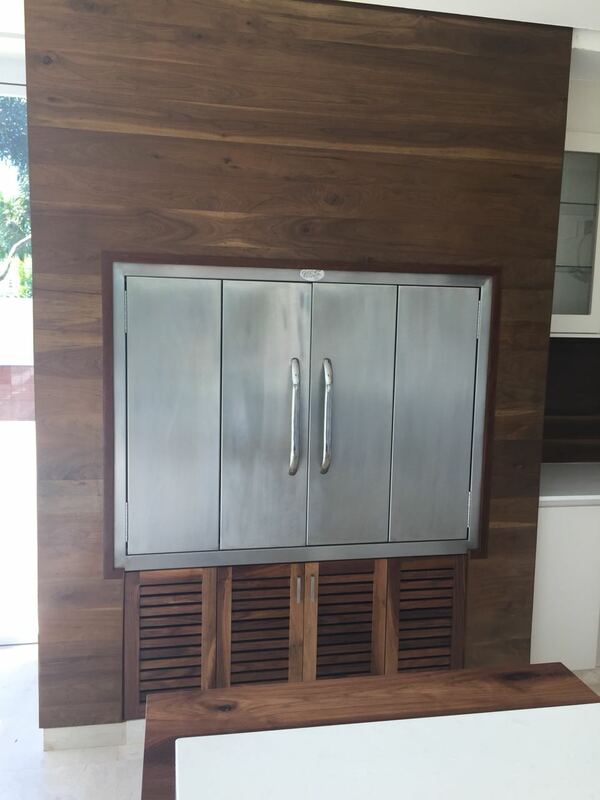 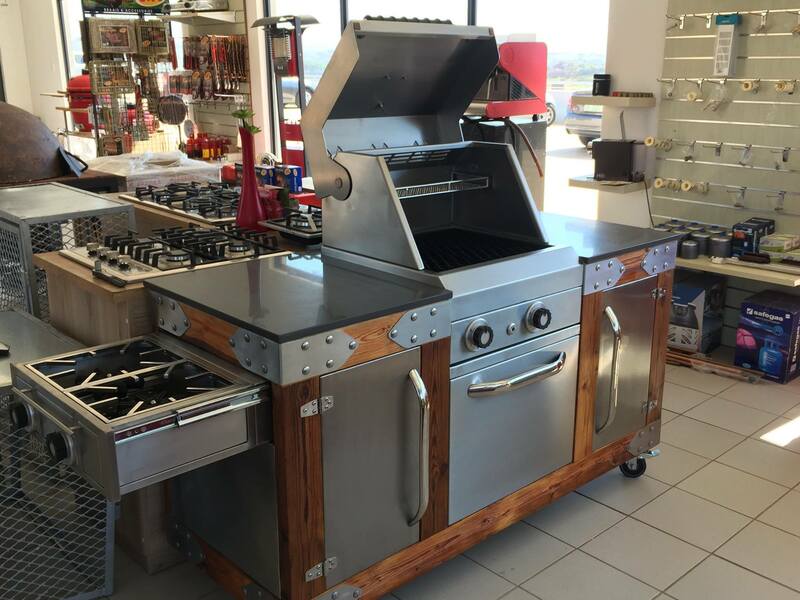 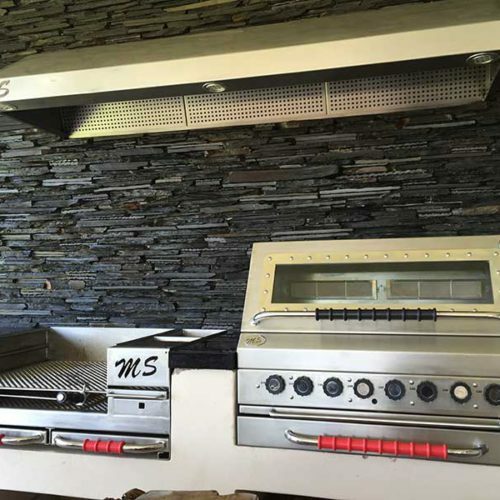 We work in tandem with every client to craft bespoke braai units suited to their needs. 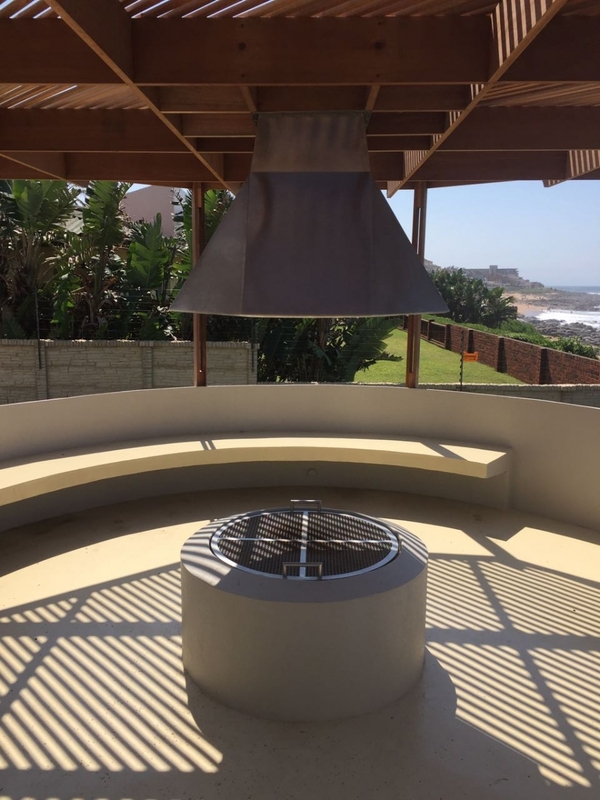 Our custom gas/charcoal braais are just that, completely custom. 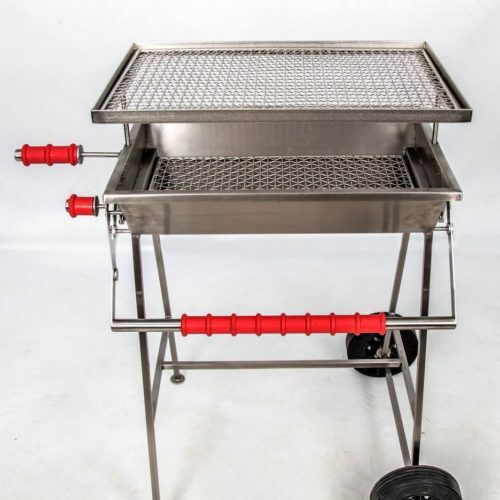 These braais can been built to client specifications and range from built-in braais to portable trolley braais, the list is endless. 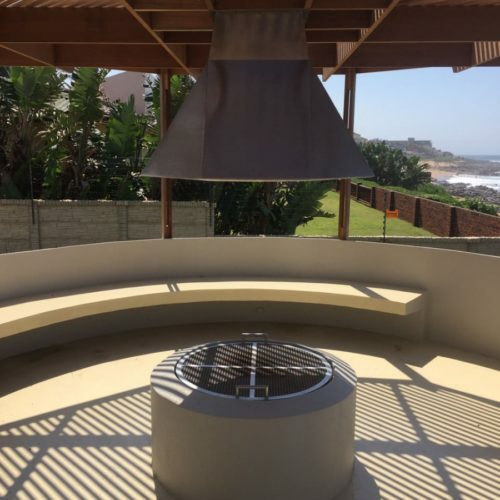 Our services also include site inspection, if possible, of any prospective braai area where we assist in the design and recommend our professional opinion, offering complete key turn solutions. 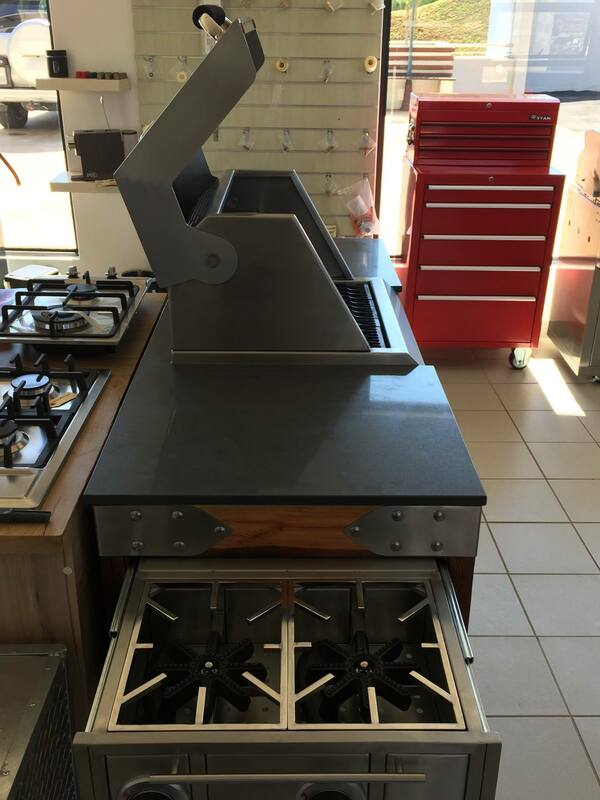 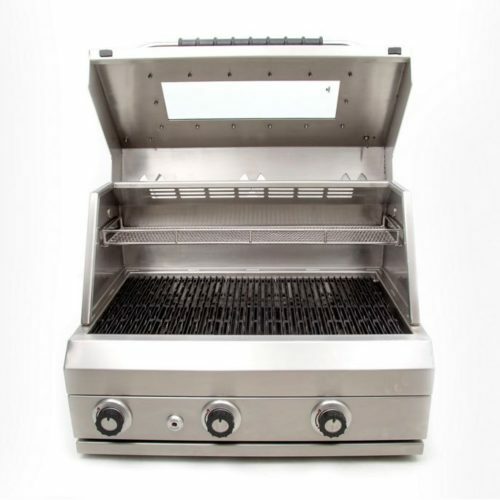 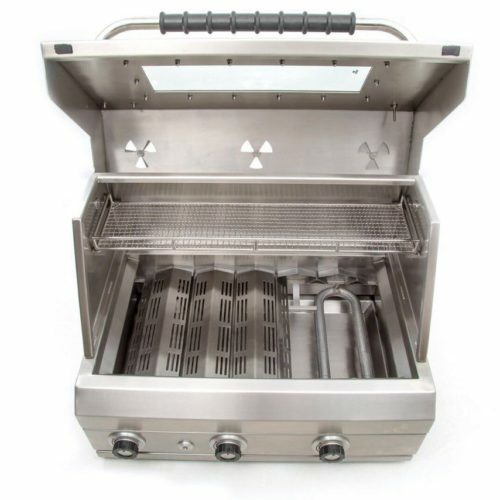 Our gas braais range from 2 – 10 burners and come in either a standard lidless variant, with lift-off lids or with hinged low or high lids. 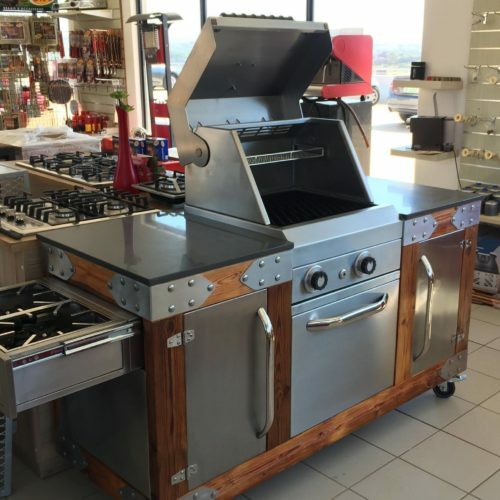 Optional extras on the high-lid hinged models include viewing windows and rotisseries. 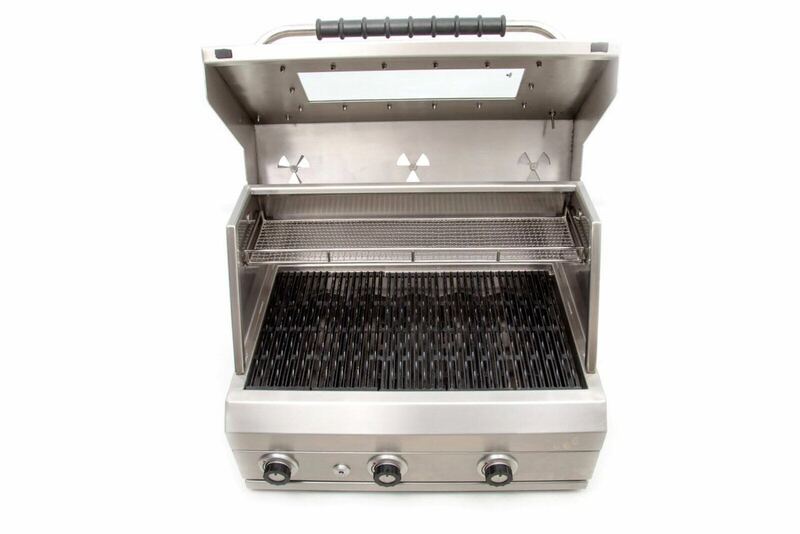 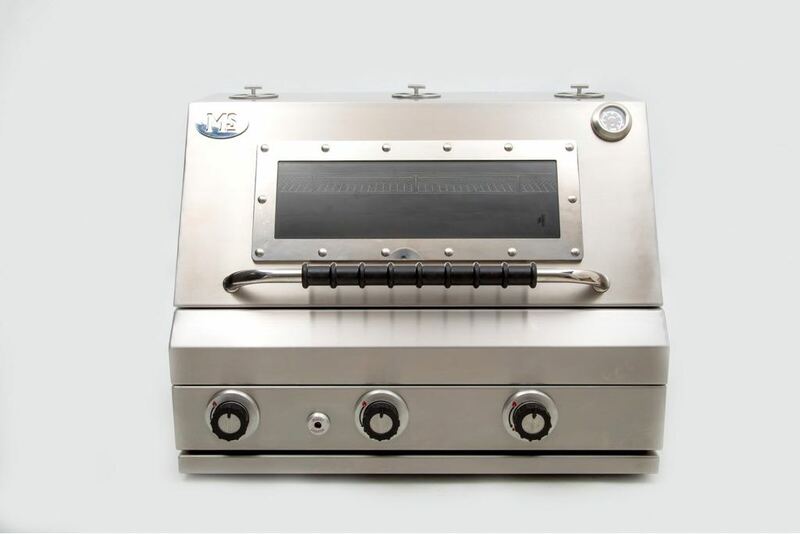 Made entirely from 2mm type 304 stainless steel our gas braais are virtually guaranteed not to warp, bend or break. 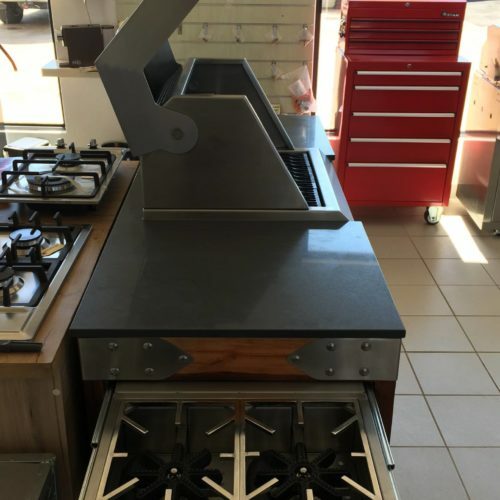 The only material that is not stainless steel are the heat resistant, silicone rubber grips on the aluminium knobs and cast iron griddles. 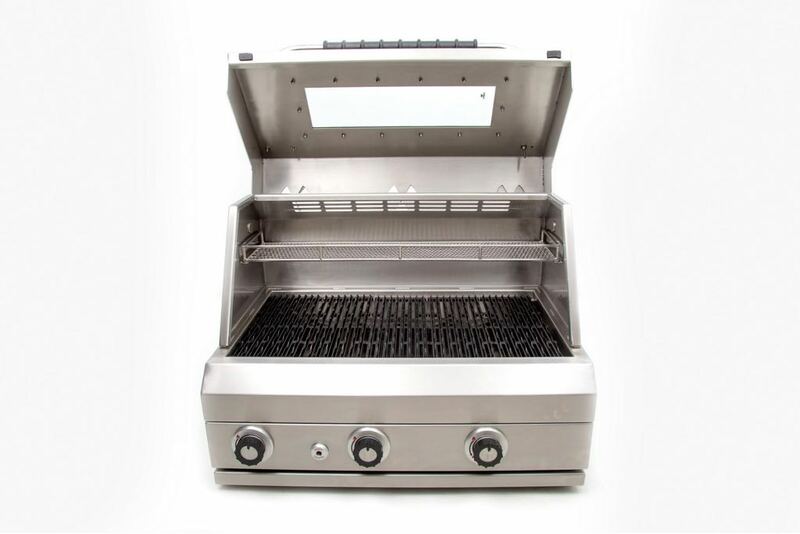 The lid handle also incorporates a heat resistant silicone sleeve. 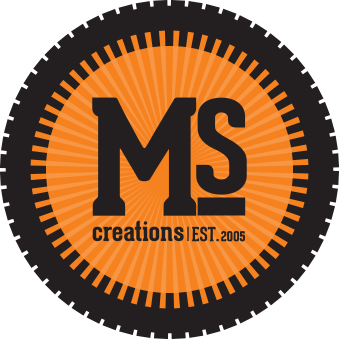 The silicone rubber grips and sleeves come in various colours. 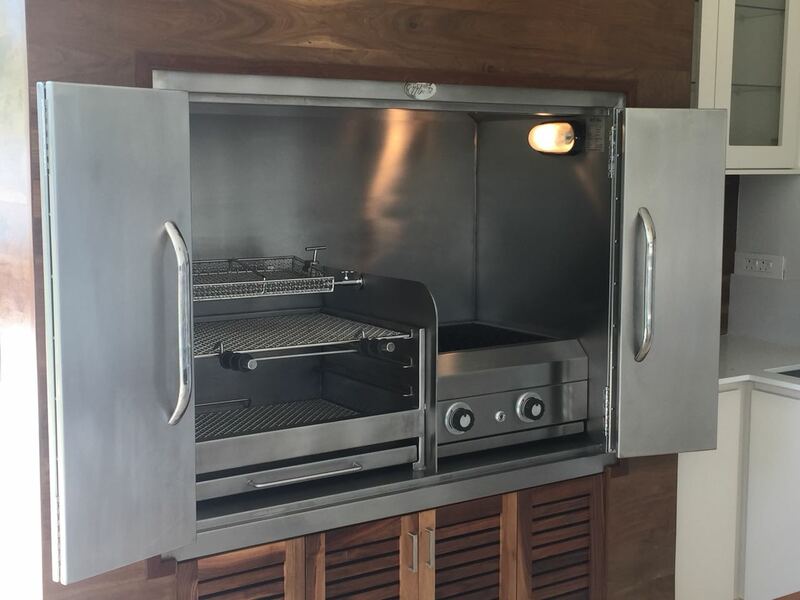 What stands our braais apart from the rest is the fact that they are double-walled and insulated with 1200 degree heat resistant material to keep the braai’s exterior cool to the touch. 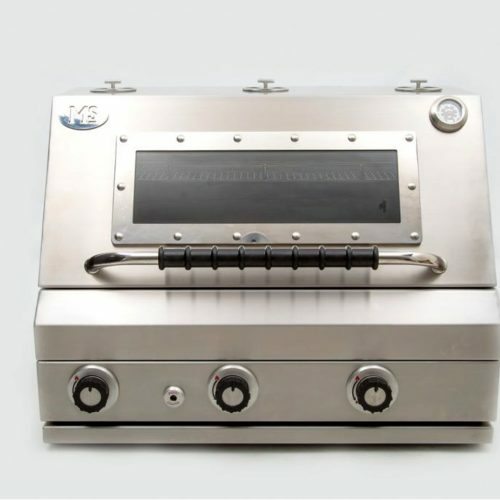 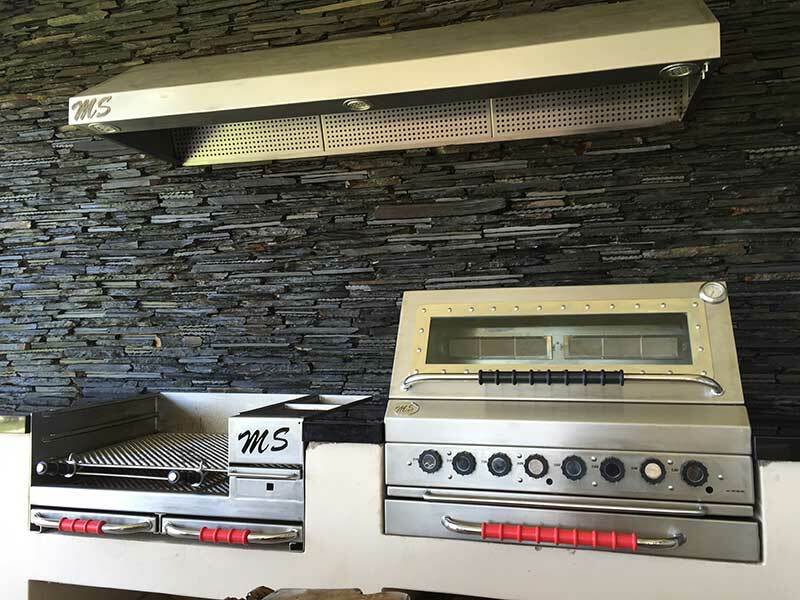 Our gas braais have been verified by the LP Gas Safety Association as a safe appliances which have been tested for conformance with the SANS 1539 specification. 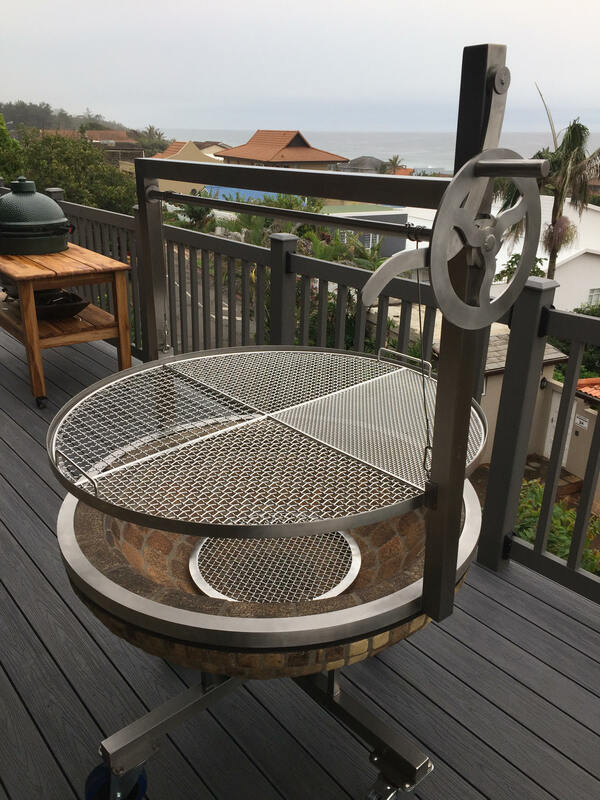 The range of wood/charcoal braais that we offer are also made to the same high quality standards as those of our gas braais, using the same premium quality stainless steel. 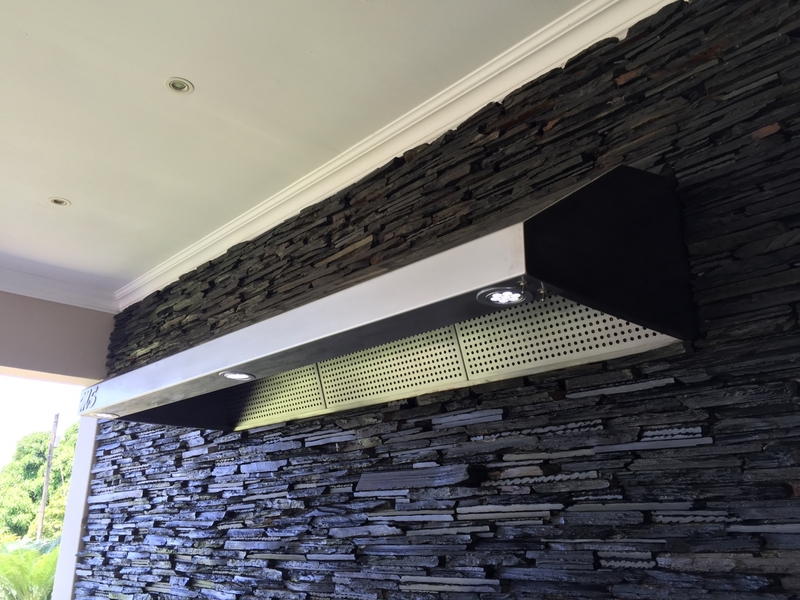 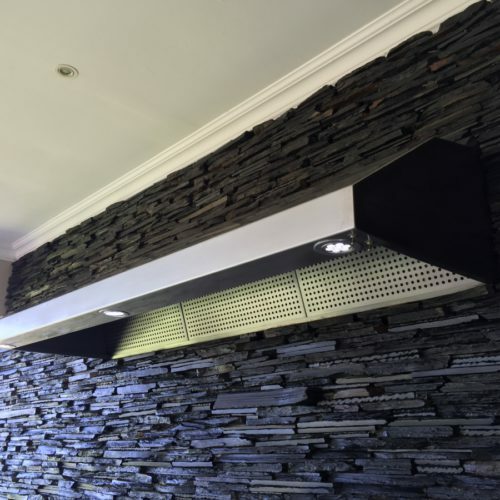 These built-in braais consists of a meat grid made from 10mm round bar frame and 2.5mm mesh grid with either fixed or removable handles, a coal grid made from 5mm angle iron with 3.2mm mesh and a 2mm stainless steel ash drawer, all on side-wall mounted runners made from 3mm flat bar and angle iron. 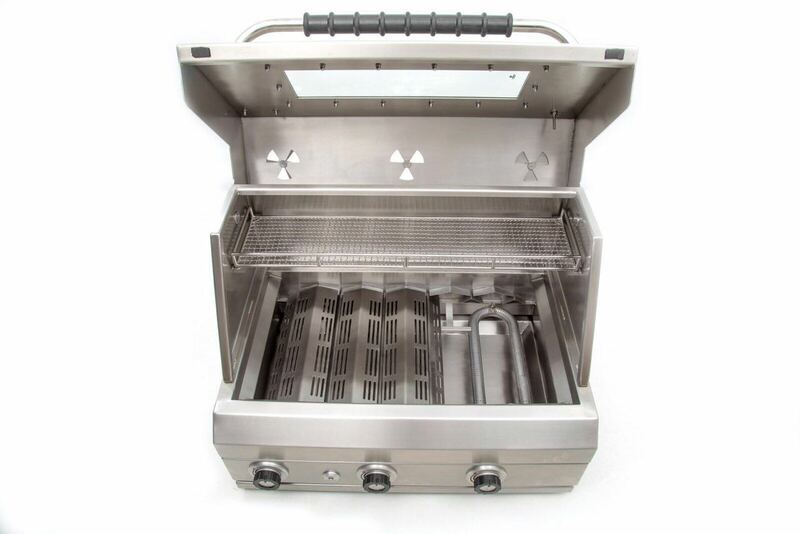 All grids and ash drawers are made from type 304 stainless steel and are electropolished. 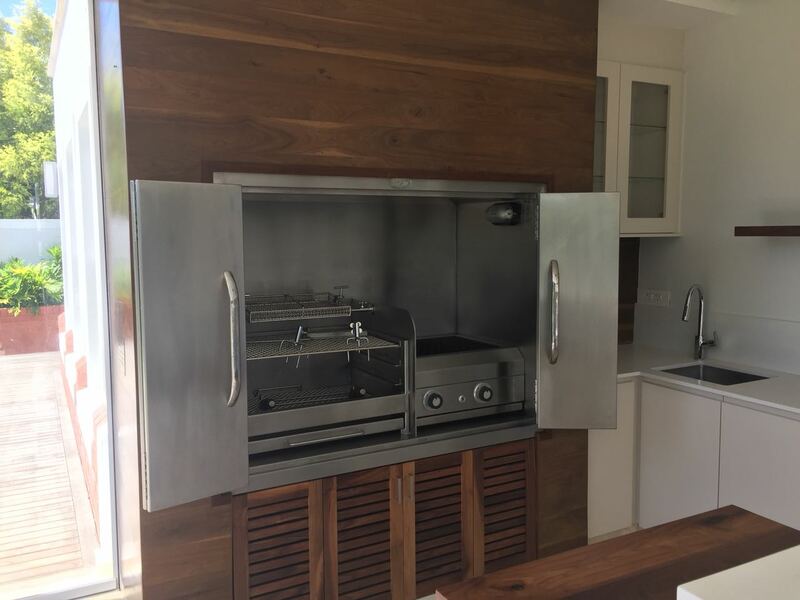 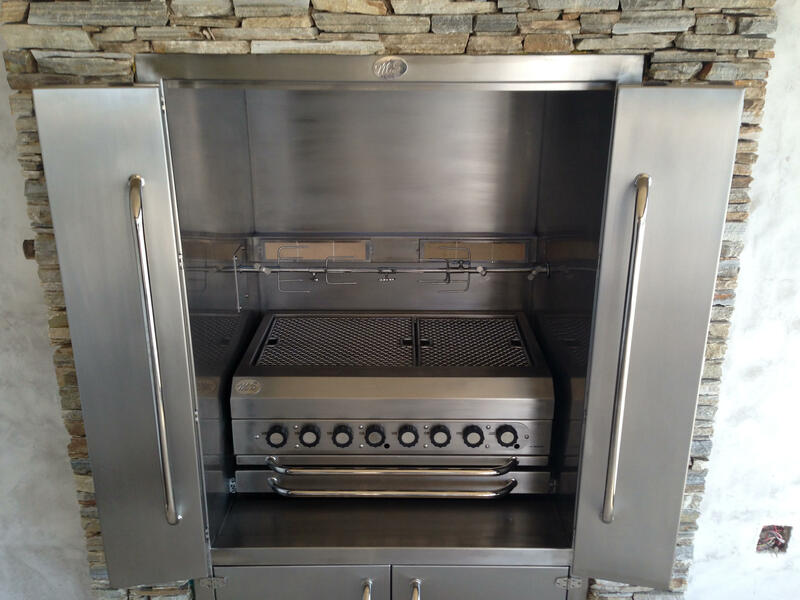 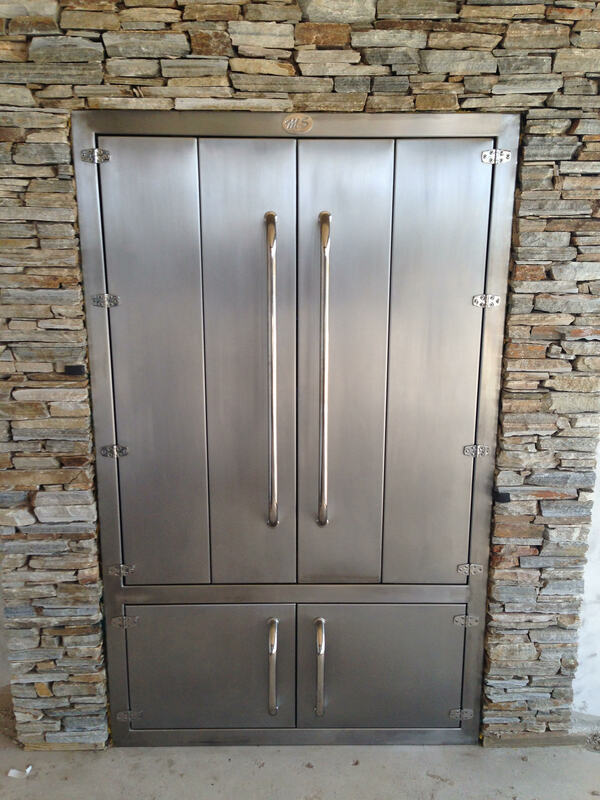 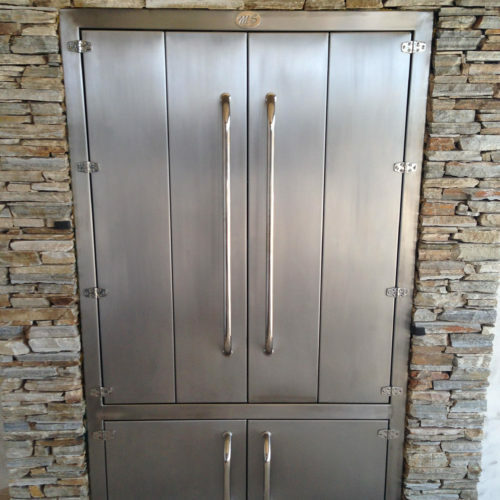 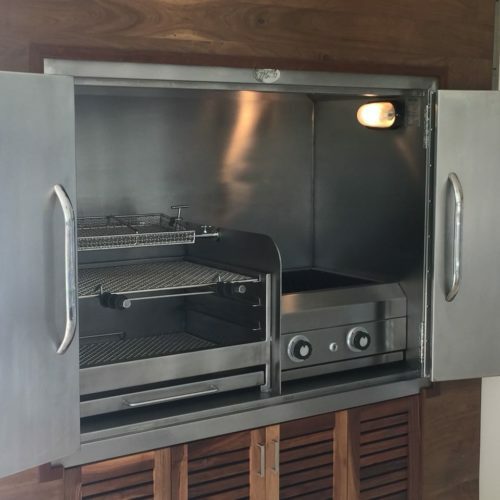 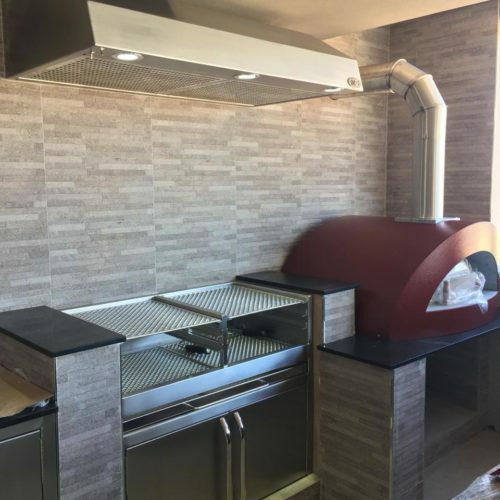 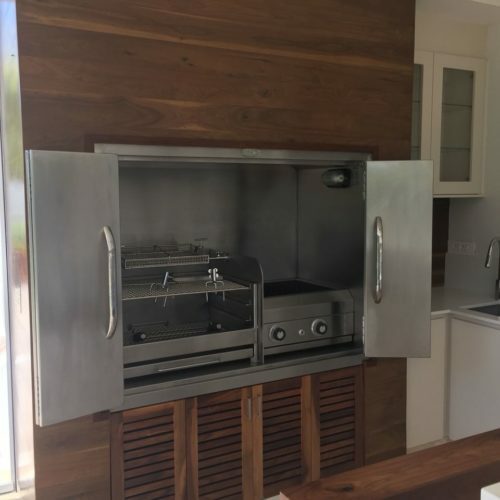 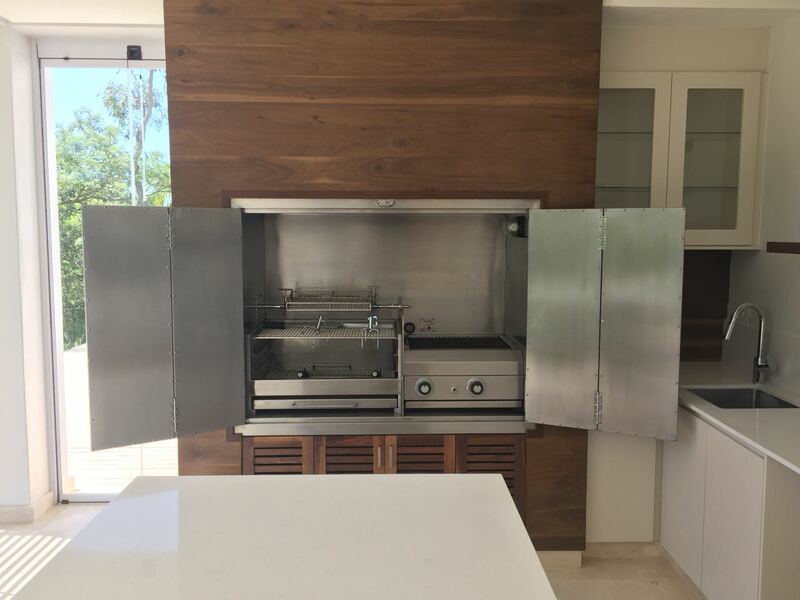 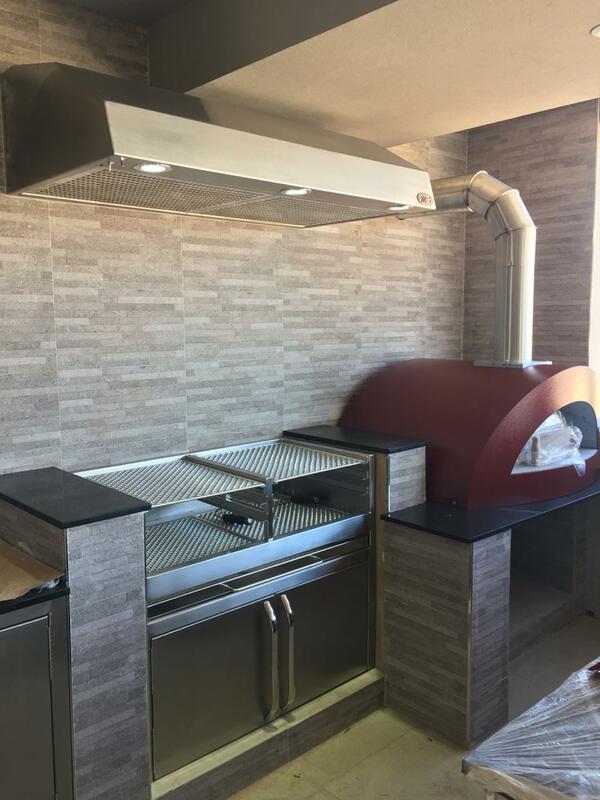 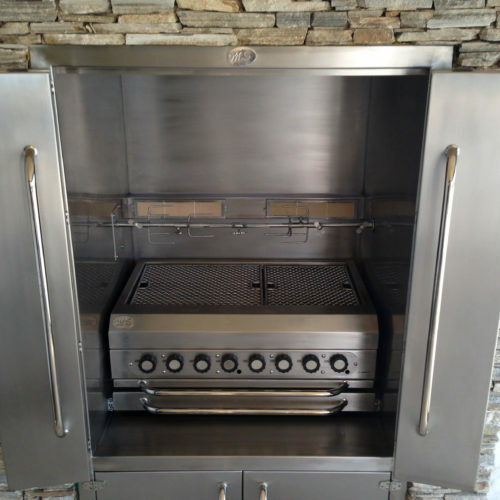 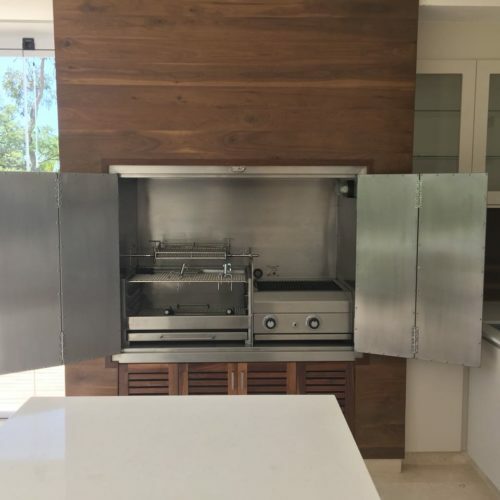 The braais can be made to fit your exact space requirements and we also manufacture stainless steel frames and doors to aesthetically close up your braai space. 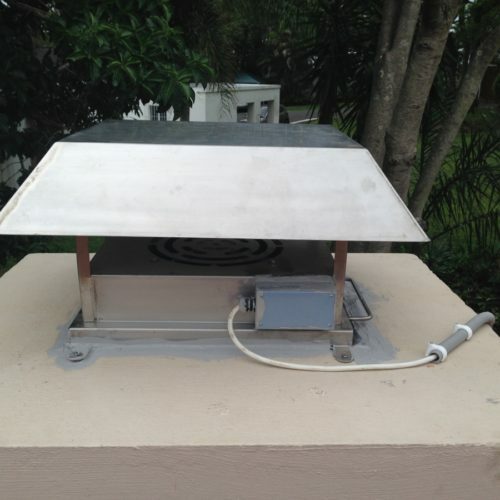 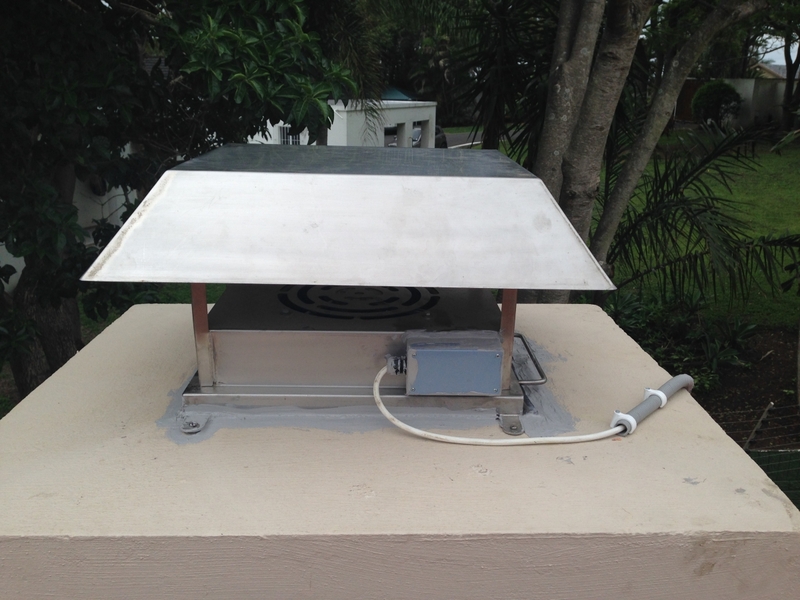 Our standard extraction canopies include turbo drum fans, LED down lights and easily washable stainless steel filters. 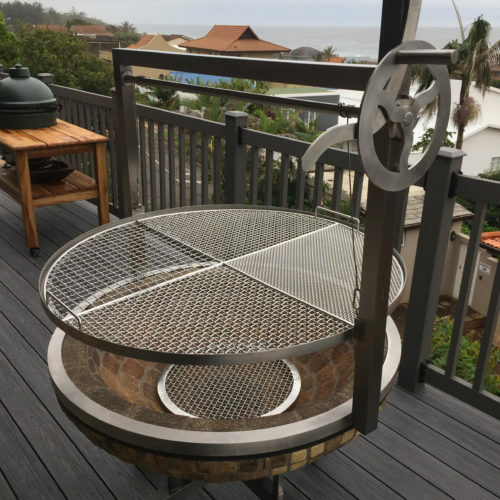 The ever popular trolley braai is ideal for outdoor use and highly practical because of it’s mobility. 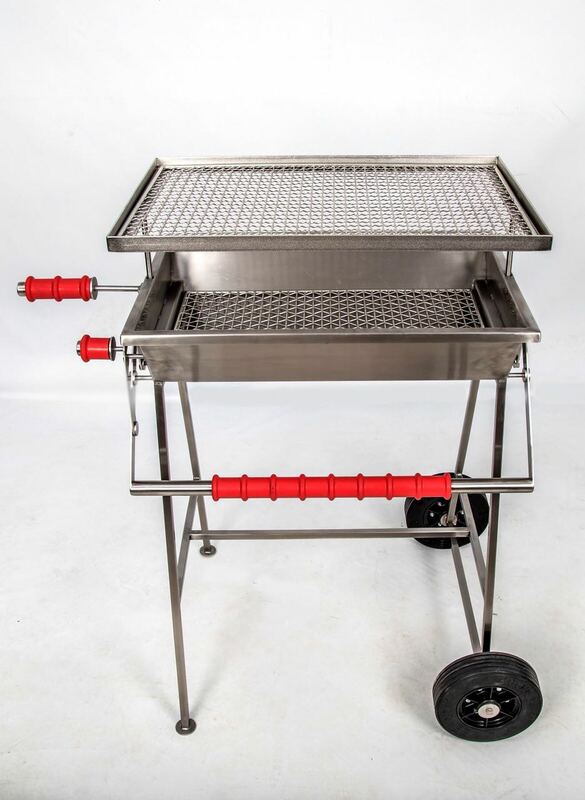 Extremely compact and sturdy, this braai is the ultimate must-have for a quick, anywhere, anytime braai. 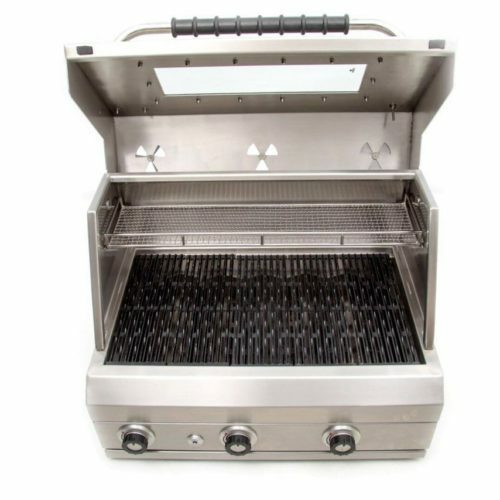 This model has a single gas burner it’s portability means it can be used anywhere outdoors and it also comes with a canvas carry bag. 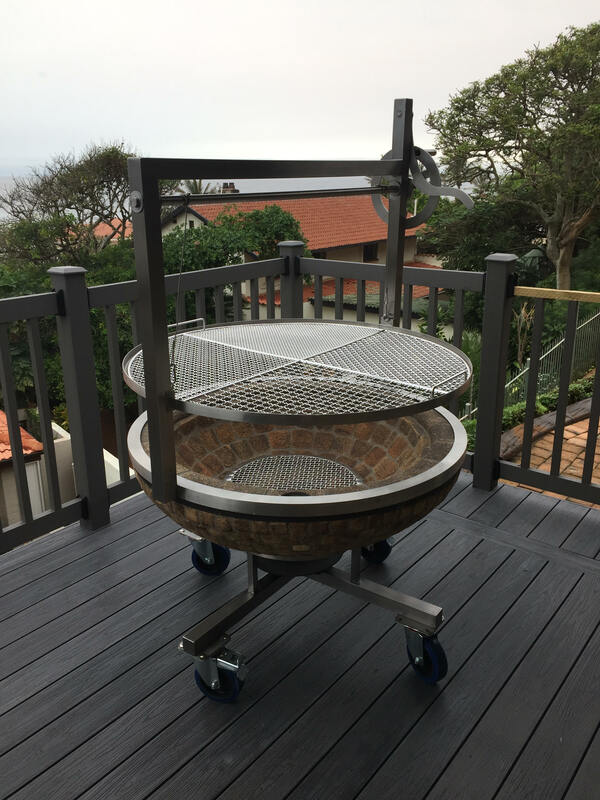 Our Kebab combo braais are similar to the Kwikstix portable braais except that we have incorporated 3 stainless steel kebab blades. 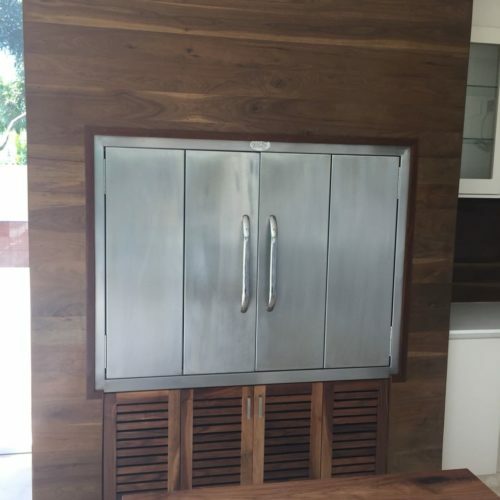 Please give us a call or fill in your information below.